Learn how to actually use that iPhone to take beautiful pictures. 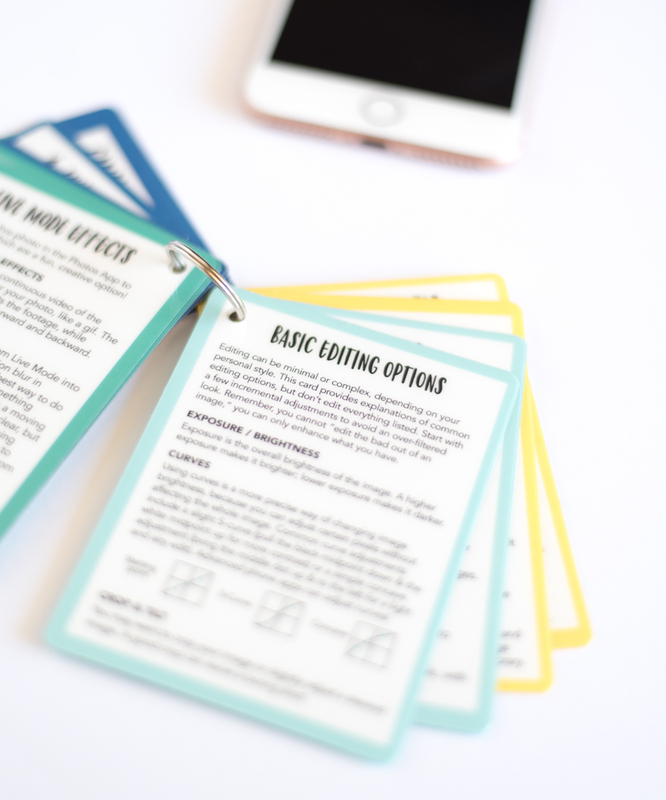 These compact cheat sheets are the manual that didn't come with your phone. Learn how to take better pictures in any situation, with the camera you always have with you! Are you frustrated with your iPhone camera? ​Then stop using it like a cheap point & shoot. Are you just pressing the shutter button and hoping for the best? That phone in your pocket has an extremely powerful camera, top-notch lenses, and amazing algorithmic software... so why are you using it like a lame point & shoot? If you can't figure out why your phone never seems to cooperate, let me help you! Did you buy an iPhone because you wanted to take great pictures of your family? The iPhone camera is totally capable of taking wall-worthy pictures of your kids -- but it's not just the phone specs that matter. How you actually use your phone will make the biggest impact on your photos. ​But it's not like your phone came with a camera manual, did it? 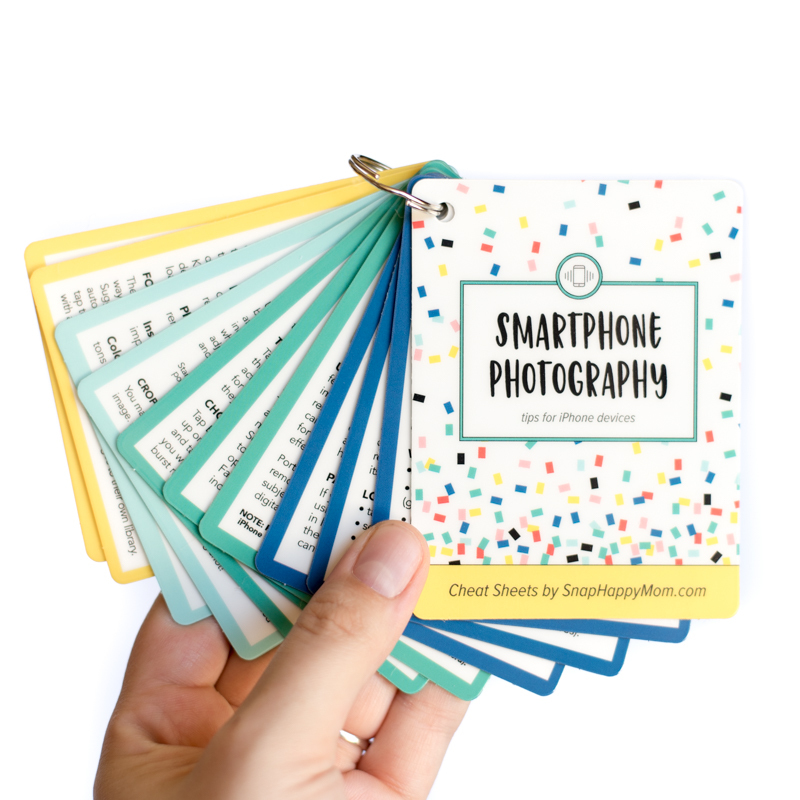 These cheat sheet cards are like a photography class in your pocket, to teach you how to use your iPhone to its fullest capabilities. ​With this knowledge, you'll be able to take great shots that you'll be proud to hang on ​the wall​. Wish your pictures looked more like what you see on Instagram? All those jaw-dropping pictures you love on Instagram? They are edited, which is not the same as adding a filter on top! Filters don't take the image content into account, but editing means you can enhance what's already in the picture to bring out the best colors and lighting. However, editing is often overwhelming for beginners, especially since it uses unfamiliar lingo. The editing section of this deck walks you through basic terminology and how each thing affects your image, ​so you can get the exactly the look you want. Ever wonder if your photos are actually backed up? Instead of wondering and worrying, use the tips on these cards to ​kid-proof your life. The section on backup & sharing will provide tons of tips for how to deal with photos easily and efficiently! 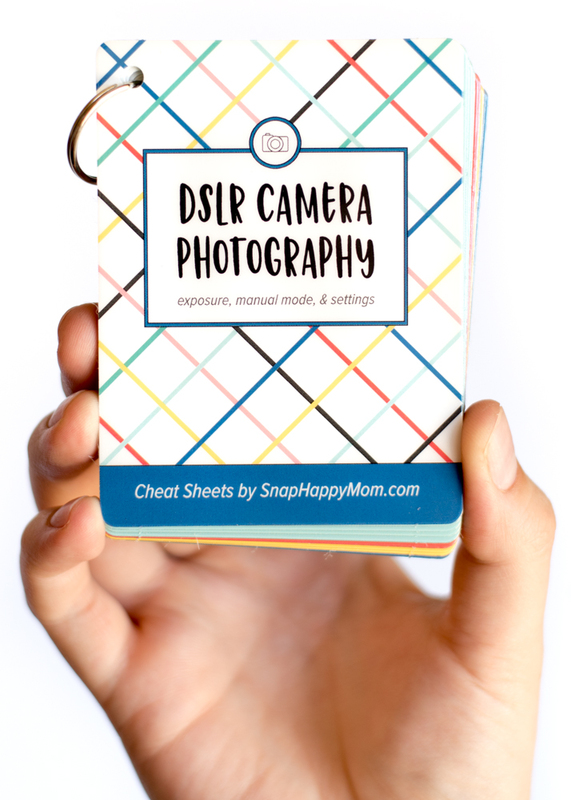 Ready to take better pictures of your family? It's not just the phone that matters - you've got to know how to use it too! This Smartphone Photography deck will teach you all the tips and tricks you need to master your iPhone for just $30! These cheat sheets are like a photography course in your pocket, for a fraction of the price. 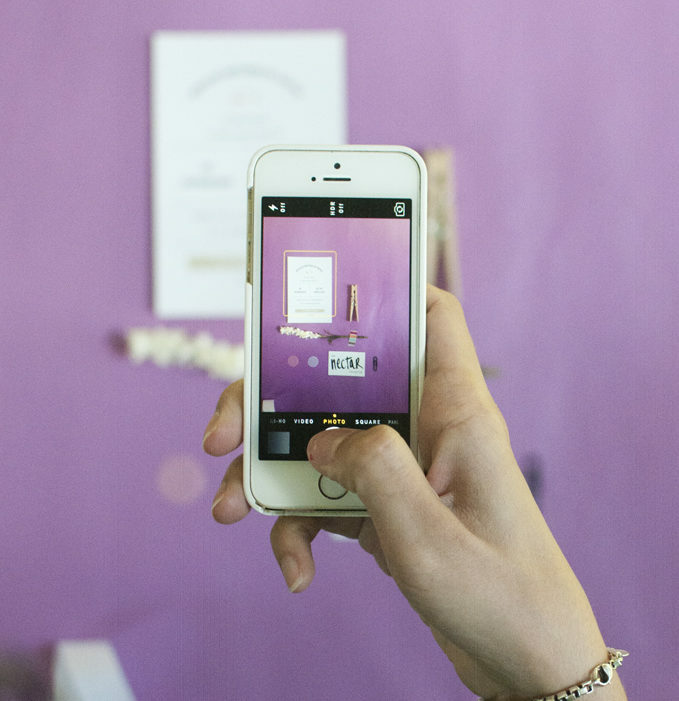 ​Get these cards and capture what you see, with the camera you always have with you! ​Don't wait to improve your photography skills - your family is growing up now! These cards are a steal at just $30, including shipping, compared to a ​class that would be hundreds of dollars. ​GET YOUR CHEAT SHEETS TODAY! Shipping ​within the United States is currently free! Canada Shipping is a flat $10. We're working on a low international rate as well. ​What skill level is the information? ​The iPhone Deck is for any iPhone user, from newbies to ​intermediate users. Buyers have told us that even their "techy adult sons have been shocked at their phone's capabilities, that they didn't know about!" ​Will these work on my iPhone model.... x,y,z? The content covers all devices running iOS 12+, and clarifications are given for model-specific features. ​Will these work on my Android device? ​No. These cards are specifically written for iPhone devices, not general smartphones, and the content refers to features only available on Apple products. We are hoping to do an Android version soon- please email us about it so we know you're interested! ​Do you offer any coupons or discounts? We offer three different photography decks with unique content. If you purchase more than one deck, in any combination, there is a discount​! They automatically change down to $25/set when you add multiple cards to your cart, no coupon needed! 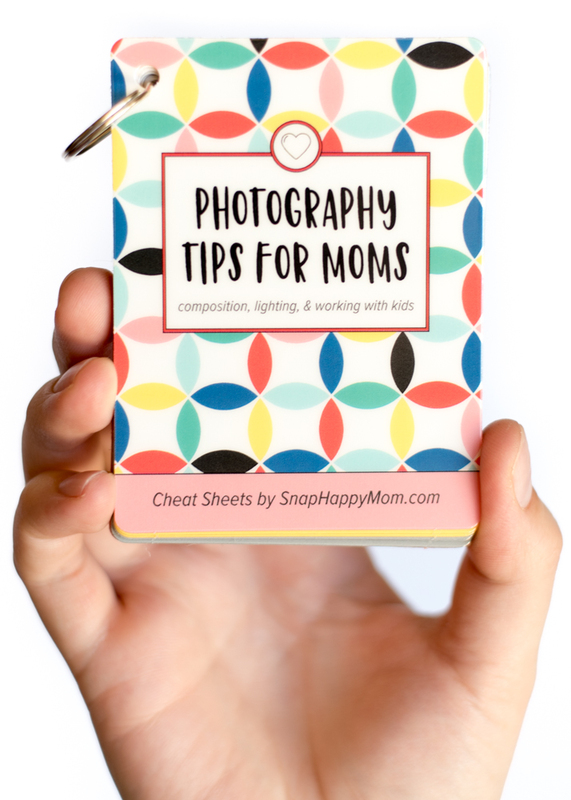 So if you need the iPhone deck, but you're also photographing children, consider the Photography Tips for Moms deck as well! ​What are the exact dimensions? The cards are made of durable plastic with a glossy sheen, much like a gift card or credit card. The deck weighs only 3 ounces, making it lightweight and hardly noticeable in your bag or purse. Each card is 3 inches wide by 4 inches tall, with rounded corners so you don't get ​scratched. Each deck of 11 cards is about 1/2 inch thick, held together by a split ring. ​Do you have other photography resources? Have a DSLR? Wish your photos were more creative? You might also be interest in our other products, which go hand-in-hand with the smartphone cards. Plus, you qualify for a discount when you purchase more than one cheat sheet deck in the same order... 'Cause they're just that good! Do you have a fancy camera that you're still using in automatic mode? Learn how to master that camera with our most popular cheat sheets! Want to learn how to compose like a pro, fining beautiful light, and get those kids to actually cooperate? This is the deck for you! Want more hands-on assignments? This online class gives more detailed instruction and guidance for moms who want to improve their skills.